This is one of our quick, go-to lunches on crazy mornings. 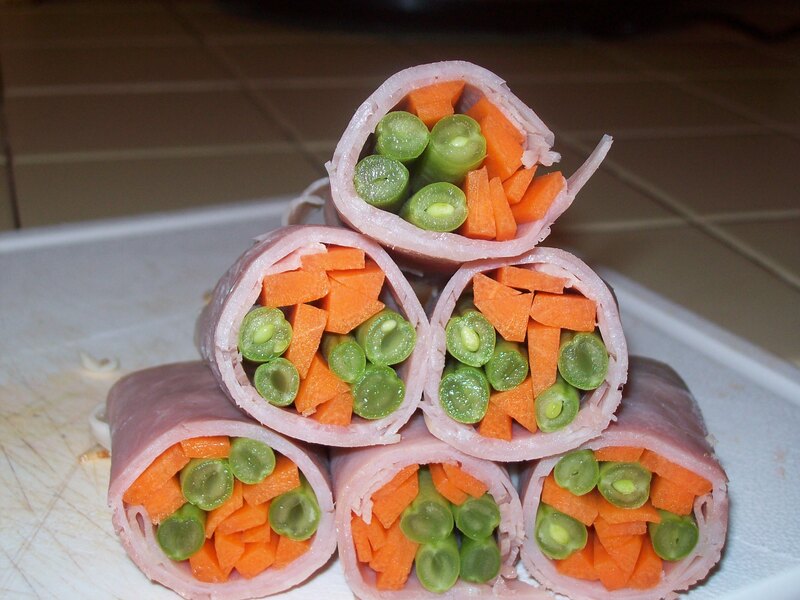 Instead of the usual lunchmeat roll-ups or sandwiches, I decided one day to put vegetables more at the forefront of the roll-up routine. 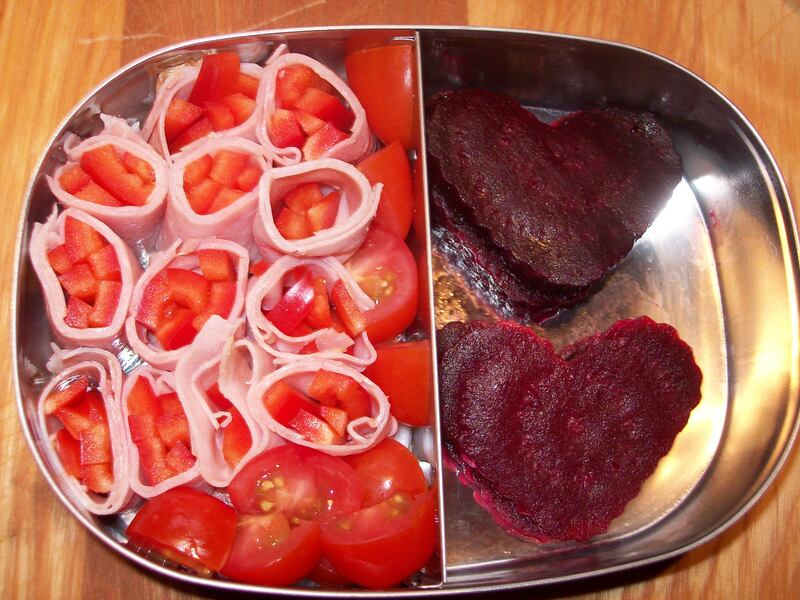 Wrapping sliced vegetables inside slices of ham, turkey, or roast beef and then slicing them sushi-style not only makes an appealing-looking presentation when the kids open their lunches, but practically guarantees that they’ll eat far more of their veggies than they might on another day. I know L., the consummate vegetable-eater, still chows down almost twice as many peppers, green beans, or carrots on days when I make veggie wraps than he does on other days. 16 trimmed green beans, bell pepper slices, julienned carrot sticks, or a combination of all three. Lay out the deli meat with the short ends facing you. Arrange four pieces of vegetable at the end of each slice of meat. Roll up tightly. You could pack these just as they are, or slice them into 3 or 4 pieces each and pack them on their sides so they resemble little sushi rolls in the lunchbox. …And here’s another way to do them.